Thanks to Reigen’s website, The Spirits and Such Consultation Office finds itself playing host to some of the scummier clients when it comes to business in the paranormal: A man who demands Reigen curses an unknown third party, something Reigen fakes and refuses payment to get him away, a minor psychic who is using his power to peep on his neighbour and a group of students who want to visit a haunted house for shits and giggles. All of which set Mob’s mind ticking with questions, which even Reigen points out is unusual. Questions about the nature of humanity and its relation to the spirit world. 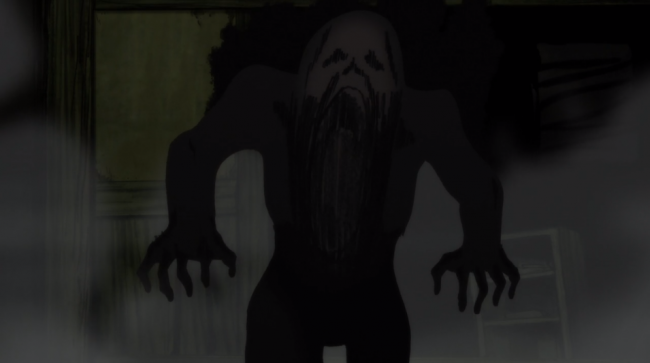 A lot of this episode is working to point out Mob’s alienation to humanity and his deeper connection to the spirit world. It does this by making many of the living characters heinous and the spirits in the episode especially sympathetic. Which goes against most other portrayals of the evil spirits seen previously in the series, but those don’t contribute to the point being made here, so let’s not think about them too much. One of the things I have admired about Mob’s character has been his lack of willingness to allow his incredible psychic gifts be the thing that defines him, this episode poses the question to him, that maybe he doesn’t need to define himself by the standards and needs of the living, maybe he could just submerge himself into the world of spirits and curses and be just as happy. Although he ends up only having half a thought by the time the episode ends, having baited the hook for a payoff further down the line. I liked this episode quite a bit, it took itself a little more seriously than the previous two, focusing less on the goofy aspects of the show and more on morality and how people can be selfish and cruel to one another for no reason. 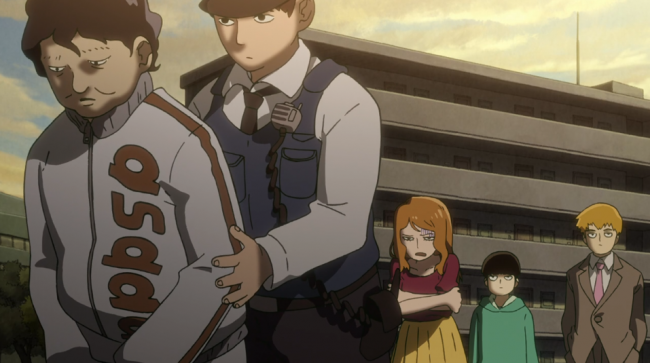 One of my favourite scenes involved a random bully trying to accost Mob on his way to school over and over, only to be physically punished by Dimple, then by Mob’s brother and then by the body improvement club. All of which like and respect Mob for different reasons which range from his ESP to his motivation to improve himself. Showing both the good and bad sides people in a single scene, which ends with them all encouraging Mob to stick up for himself in the future. Something that could end up backfiring on everyone terribly, given Mob’s unique… perspective on things. This was a good episode that delved into some heavier subject matter than I would have expected. The show has a unique art style that works really well for high action, scary imagery and incredibly silly visual gags. Roll on next week. 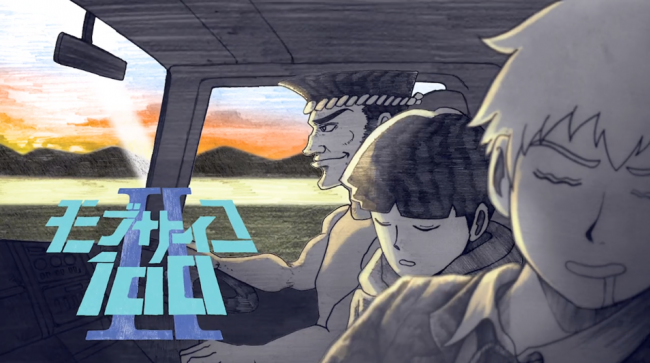 Posted on January 24, 2019 January 24, 2019 by WooderonPosted in Anime, Condensed Reviews:Tagged Anime, crunchyroll, episode 3, mob, Mob Psycho 100, One Danger After Another Degeneration, Reigen.